Angioplasty is the technique of mechanically widening a narrowed or obstructed blood vessel; typically as a result of atherosclerosis. Tightly folded balloons are passed into the narrowed locations and then inflated to a fixed size using water pressures some 75 to 500 times normal blood pressure (6 to 20 atmospheres). The word is composed of the medical combining forms of the Greek words αγγειος aggeîos meaning "vessel" and πλαστός plastósmeaning "formed" or "moulded". Angioplasty has come to include all manner of vascular interventions typically performed in a minimally invasive or percutaneous method. Peripheral angioplasty refers to the use of mechanical widening in opening blood vessels other than the coronary arteries. It is often called percutaneous transluminal angioplasty or PTA for short. PTA is most commonly done to treat narrowings in the leg arteries, especially the common iliac, external iliac, superficial femoral and popliteal arteries. 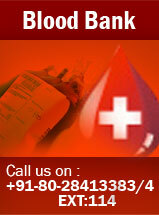 PTA can also be done to treat narrowings in veins, etc. Atherosclerotic obstruction of the renal artery (blockages in the blood vessel supplying the kidney) can be treated with angioplasty of the renal artery (percutaneous transluminal renal angioplasty, PTRA). Renal artery stenosis can lead to hypertension and loss of renal function. Generally, carotid artery stenosis (blood vessel supplying the brain) is treated with angioplasty and stenting for high-risk patients in many hospitals. The system comprises a stent along with an embolic capture device designed to reduce or trap emboli and clot debris. Angioplasty and stenting is increasingly being used to also treat carotid stenosis, with success rates similar to carotid endarterectomy surgery. Simple angioplasty without stenting is falling out of favor in this vascular bed.